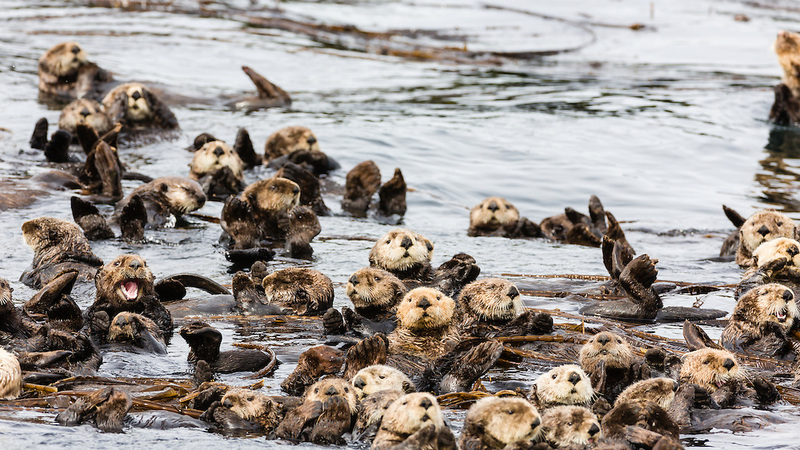 Raft of Sea Otters (Enhydra lutris) floating among kelp near Koniuji Island in Kupreanof Strait on Kodiak Island in Southwestern Alaska. Summer. Afternoon.